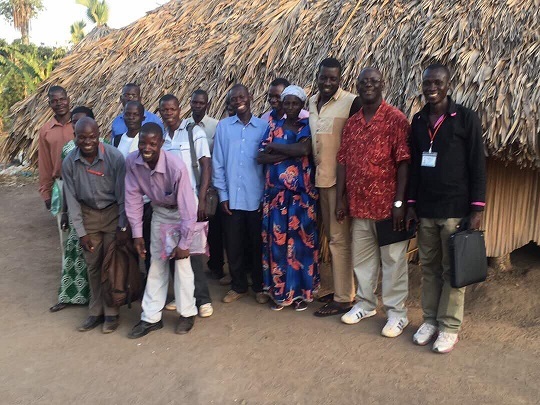 As you know, one of our goals in 2018 is to reach out to the local Uganda village churches on a monthly basis – visting them, encouraging the pastors and beleivers, and continuing to build up these “baby” village churches. This church is lead by Pastor Monica, who is the mom of 9 children! The church as been in place for 1 year, with about 37 members. Fortunately she now has a bicycle to get around the village, provided by CTM’s gracious donors such as you!. She does have a bible, but many of the members do not (they need about 20 bibles in the native Luganda language). There is a church structure, but it temporary and made of sticks and a thatched roof. 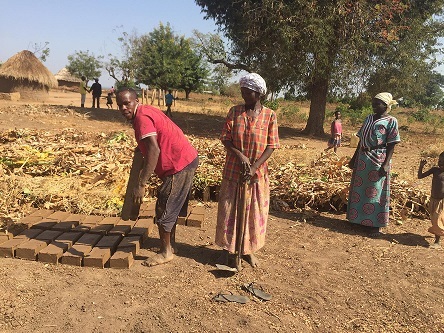 They need a permanent structure, with a metal roof to guard from the rains soon to come! The children are meeting when thay can outside for school, on benches (ther is no school building). An urgent need for this church is a “borehole” (water well). 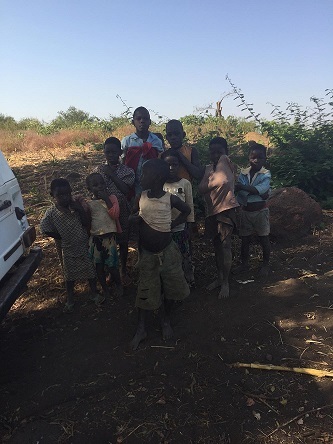 The is currently no nearby water borehole at all, so there is a lack of access to fresh water (a family member must walk 1-2 miles for water, from a stream or pond, and there is danger of sickness as a result of using such water). The church also is very much located inthe bush, so there is no nearby hospital or medical clinic (we visited this church in 2017, and brought in medical supplies to treat the people). 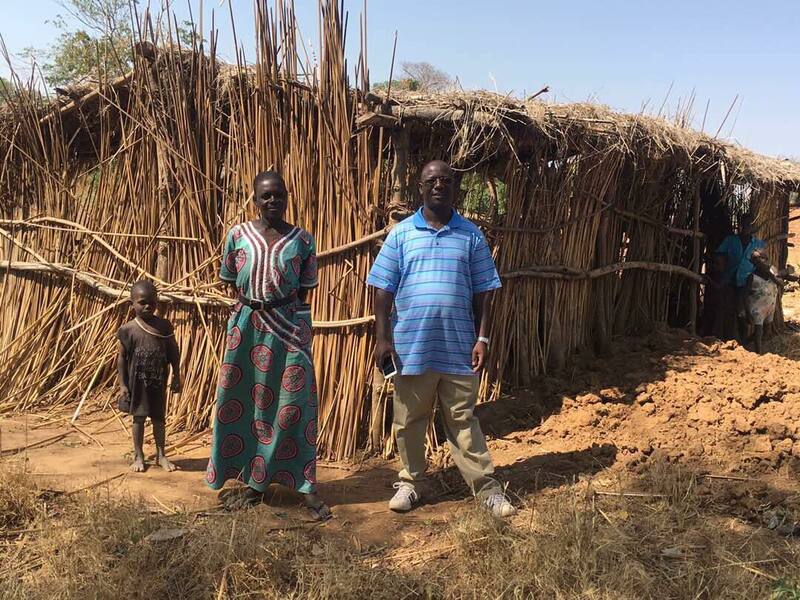 The Bumogoli Church is led by Pastor Paul, who is married, and has 4 children. Thje church has been established for 3 years, and has about 56 members. A temporary church structure is in place, but there is a need for a more permanent building. Although the pastor has a bible to preach and teach from, about half the members have no bible! So there is a need for about 25 bibles – in the local language, but also some in English. The church also has no nearby borehole, so family members must trek to the nearest stream or pond for water – risking disease. First, remember to pray for the pastors and believers in these churches. Pray for their needs specifically, and if you feel led, give whatever you can financially to these churches, to help address these needs. >> Please go to https://ctmafrica.org/donate/ to make your secure, online donation. Your gift is tax deductible, and we will make sure your donation goes specifically to meet the need you express when you make your donation. Thank you, and may the Lord bless your for your prayers and financial support! Previous PostJanuary Updates from our CTM Regional Support TeamNext PostTransform Uganda IV Coming August 2018!